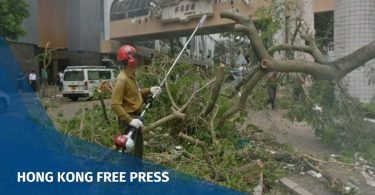 Taiwan wiped the criminal records of 1,270 victims of the island’s “White Terror” purges on Friday, the first time the government has fully exonerated those who suffered political persecution under martial law. The victims, most of whom are dead, have been awarded “restoration of honour” certificates under successive governments and compensation has been paid to some families. 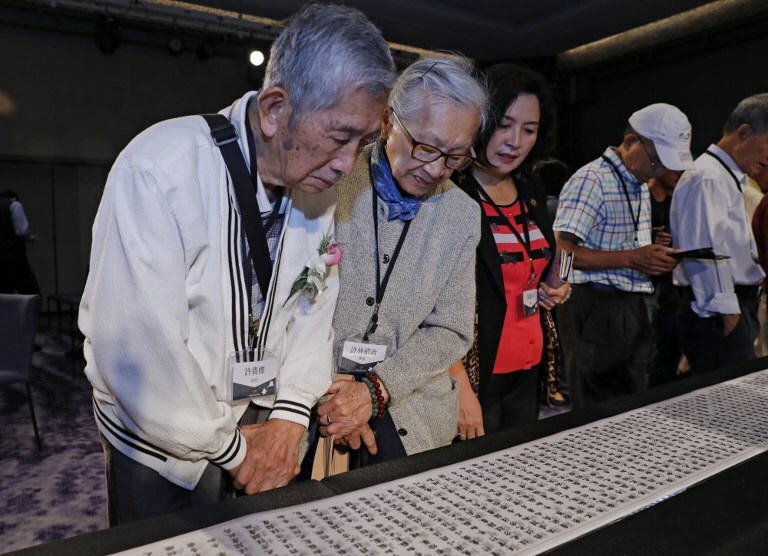 Family members look at a names list of some 1,270 people from the island’s “White Terror” purges, during a ceremony in Taipei to formalise the victims’ pardons on October 5, 2018. Photo: AFP/Daniel Shih. But officials said they wanted to eliminate their criminal records as part of renewed efforts to rectify injustices. Thousands of political opponents were killed and imprisoned during the White Terror period of suppression under authoritarian leader Chiang Kai-shek, who ruled Taiwan from 1949 to his death in 1975. Official records state around 140,000 people were tried by military courts under Chiang’s nationalist Kuomintang (KMT) government and as many as 8,000 executed. Many believe the actual numbers are higher. The purges only ended after martial law was lifted by Chiang’s son, Chiang Ching-kuo, in 1987. “There are many people who cried in the dark for their parents or their brothers who were arrested and never came back. We have all suffered under the regime,” survivor Chung Yi-jen, 98, told families and victims at a pardoning ceremony hosted by President Tsai Ing-wen Friday. Chung was jailed for 14 years for leading a civilian opposition force against the KMT. Chiang fled to Taiwan in 1949 after the KMT lost the civil war to Communist forces on the mainland, but saw himself and his government as the legitimate rulers of the whole of China. Tsai’s Democratic Progressive Party (DPP), which now has a parliamentary majority with the KMT the main opposition, has its roots in the political movement that opposed Chiang, and former rebels have become top officials and lawmakers. More than 10,000 White Terror victims have had their cases reviewed and qualified for their criminal records to be quashed. The 1,270 named Friday were the first to have those pardons formalised. “We did our time in prison. But all these years, in our hearts, we have never felt we were guilty of any crimes,” survivor Tsai Kuan-yu, 86, told AFP. He was jailed aged 29 for 13 years for subversion and inciting independence, and had previously served a six-month sentence for “inciting a classmate to boycott class”. But some relatives of victims said the official pardons were inconsequential and it was time to target the surviving perpetrators. 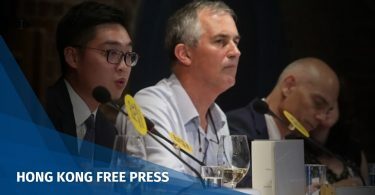 “My wish is that the people behind all this…will all be arrested,” said Ou Yang Hui-mei, whose father was jailed for 12 years for his association with an opponent of the KMT. She also called for statues of Chiang to be taken off public display, saying she found them “disgusting”. Lawmakers voted last year for all iconography of the former leader to be removed. The so-called transitional justice bill also paved the way for a full investigation of the purges.